I am a wedding photographer located in Danbury, CT area and I love to shoot in all wedding venues that are located nearby: Ethan Allen Hotel, which is one of my favorites, Candlelight Farms Inn in New Milford, CT, Villa Bianca in Seymour, CT to name a few. With so much preparation and cost that goes into weddings, I feel my job as a wedding photographer is very important. I am hired to capture images that the couple will look at and show to their kids and kids for years to come. Wedding photography is very important and this is why I try to capture every detail well. 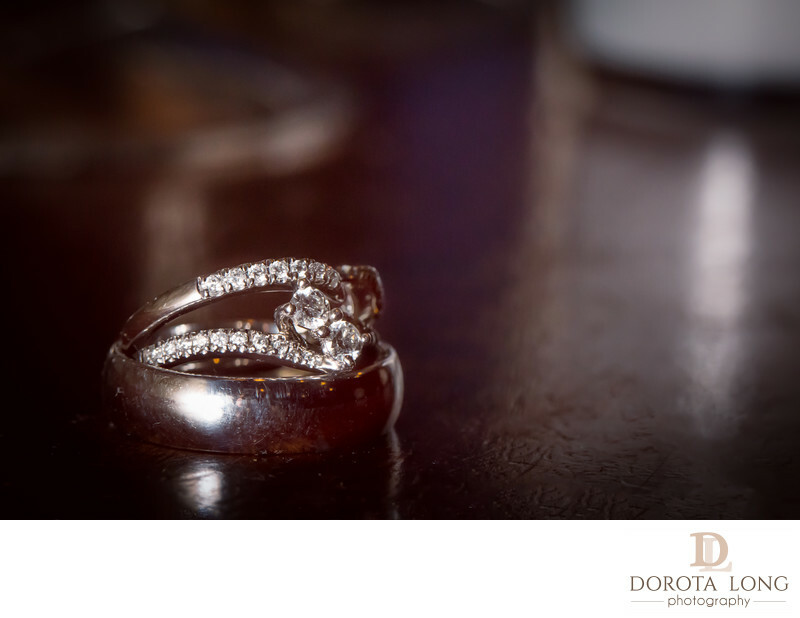 When I shot this wedding in Ruth's Steak House in Tarrytown, NY, during the reception, the bride asked me if I could take some photos of the rings for her. I was very excited because I brought my macro lens with me and she gave me the rings and let me play. I was able to create many fantastic images with a help of my flash as well as creative white balance in post production. I used photograph food so I am very familiar and comfortable shooting products. I understand light very well and I am able to capture images like this even when it is very dark.